Add a touch of class to any restaurant, spa or office environment. 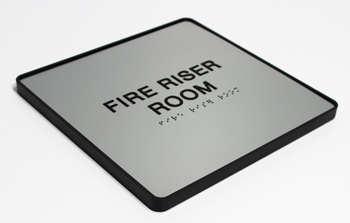 Matte black tactile lettering and graphics on a brushed-metal looking finish. 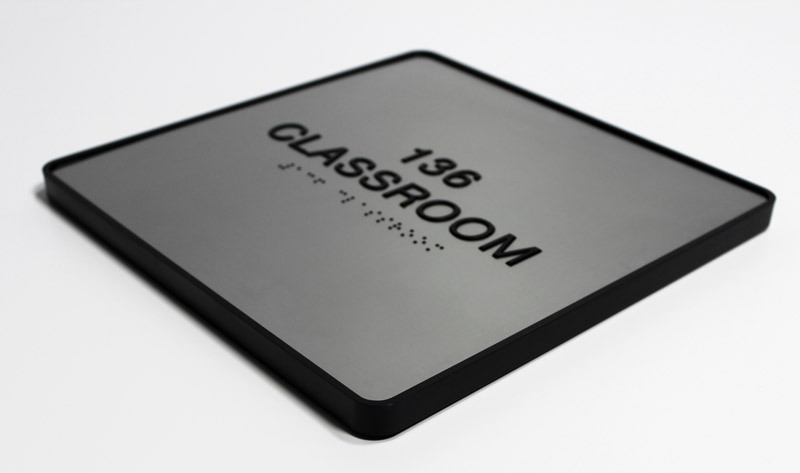 Grade 2 ADA braille dots and rounded-corner black molded plastic frame included. 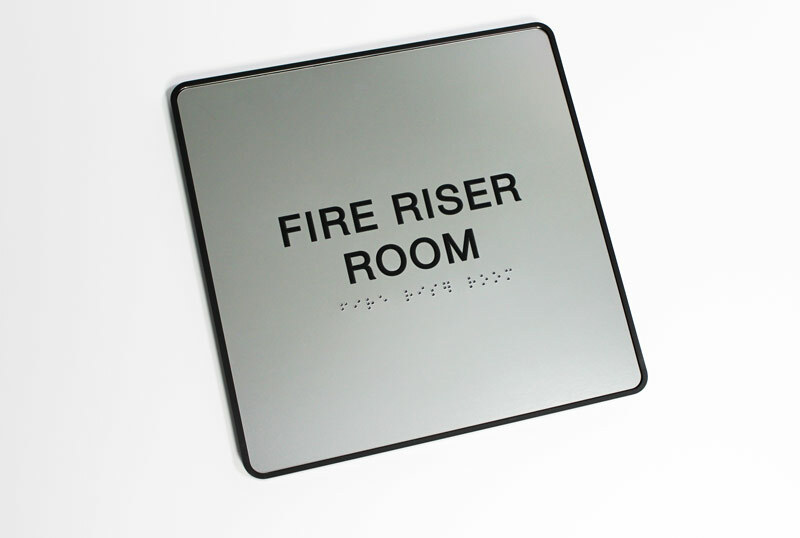 Personalize your Braille door signs below at no additional charge. Each sign includes ADA-compliant Braille dots and tactile lettering/graphics. 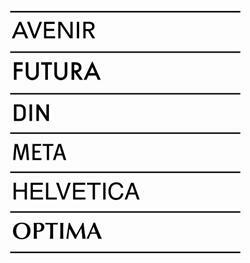 Please note that only a certain number of characters can fit on each size of sign in an ADA-compliant manner, so please e-mail service@officesigncompany.com if unsure that your text will fit. 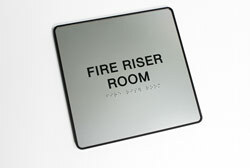 Our ADA-compliant Braille door signs and ADA office signs are ideal for restaurants, builders, spas and contractors. Looking for an ADA Braille Restroom Sign? Click here to purchase. 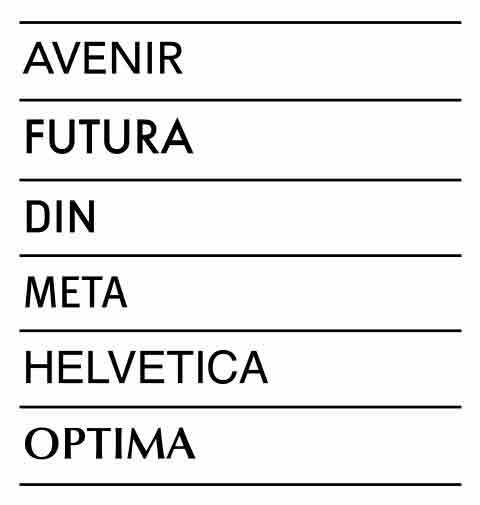 Frame options available.